Challenge yourself and your friends. 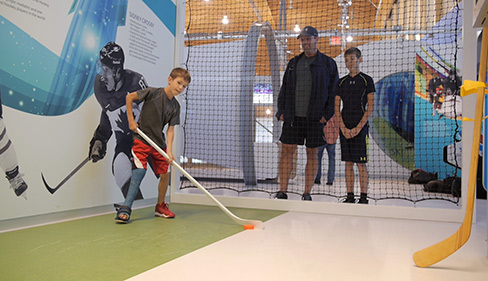 Test your skills and accuracy on interactive hockey and soccer nets. 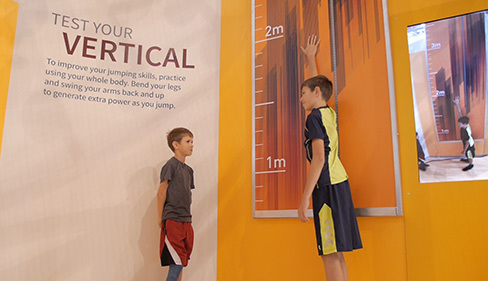 Measure your vertical jump, long jump and reaction time, comparing your results to those of an Olympian. 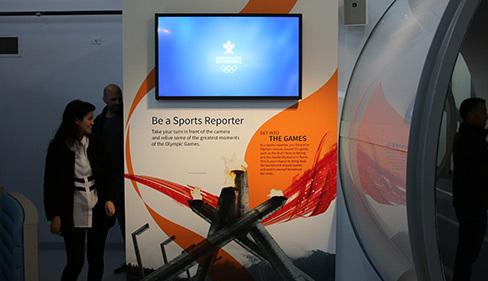 You can even try your hand at broadcasting an Olympic event. Learn how to score a goal from the pros in either soccer or hockey as you shoot against our virtual targets. Pro basketball players make jumping look easy, but getting big air is more complicated that you think. Forwards, backwards, up, down and sideways. 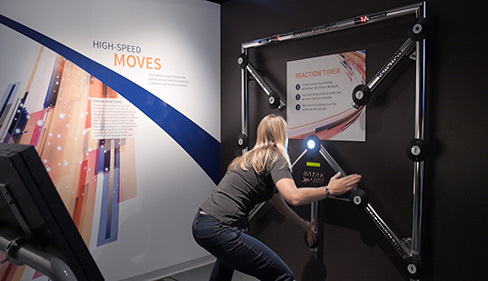 Do you have what it takes to beat friends and family in this fast-paced agility challenge? Challenge your vocal chords and style on screen as you commentate on Olympic competitions.